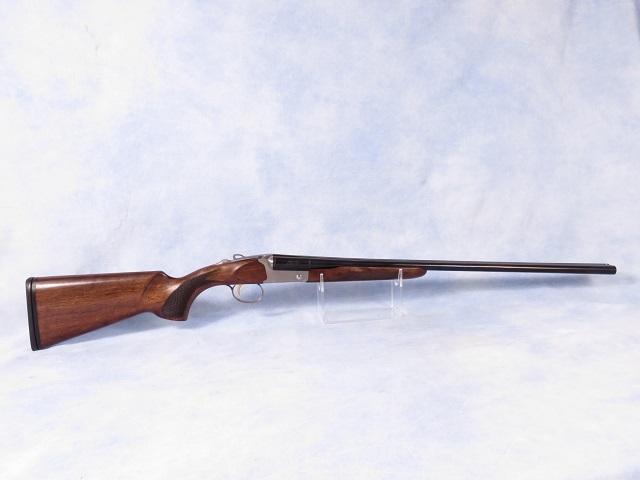 Charles Daly 528 side by side field shotgun chambered in 28 GA . This features a 26" barrel with removable chokes and a blued finish, walnut stock with checkered grip & forend, white steel receiver, top tang manual safety and selective trigger system, fixed bead sight, and a rubber recoil pad. Has been test fired and cleaned, a very nice gun!